By Andrea Diamond. Dec 13, 2016. 9:00 AM. 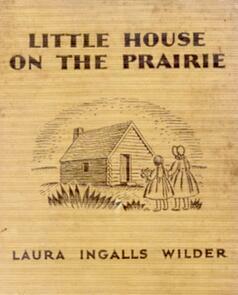 Before Wilder wrote the Little House on the Prairie books, her intention was to write a memoir called Pioneer Girl. The book was not well received by publishers, and Wilder eventually decided to reformat her memories into a children’s series. Since the story was originally autobiographical in nature, one can be confident that the setting and characters remain very true to reality. However, there were some changes that needed to be made in order to cater to a younger audience. Consequently, the books do not provide the whole picture. Pieces of Wilder’s more shocking experience as a young pioneer, like seeing a drunk man die after accidentally setting himself on fire, or a husband dragging his wife out of their home by her hair, had no place in a children’s book. She never mentions her younger brother who passed away before he was one-year-old, and she romanticized the family members that remained. Charles Ingalls a.k.a. “Pa” is written to be a loving, hard-working, teddy-bear of a man. He is attentive to his family, and and provides much-needed stability in the face of big changes. Although there is no doubt that Charles was a good husband and father, he was by no means perfect. A specific story about Charles that Laura omitted from her books was skipping out on rent by leaving under the cover of darkness. This idealization of people and places can lead to a misinterpretation of what the frontier was really like. Although the Little House books do not contain every element of pioneer life, they still provide a fantastic introduction to this chapter of American history. 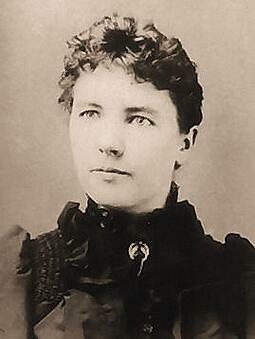 Laura Ingalls Wilder is a beautiful writer, and her passion for the land on which she grew up shines through. So go ahead and scoop up your little ones, build a fire in the fireplace, and pay a visit to the Wilder family.